Anibet = Animal Alphabet. Clever, I know. One of the things that attracted me to illustration in the first place was the constant challenges. Each assignment needs to be solved, like a math equation or a puzzle. Except unlike puzzles and equations, there are no right answers, just good ones or bad ones. I decided recently to take a puzzle that has been solved before and try to find my own answer to it- the animal alphabet. Each letter, in the shape of an animal whose name begins with that letter. I decided to make myself do each letter in order, and never do sketches more than two letters in advance, thus forcing myself to find solutions to the trickier letters before moving on to ones that have more obvious answers. 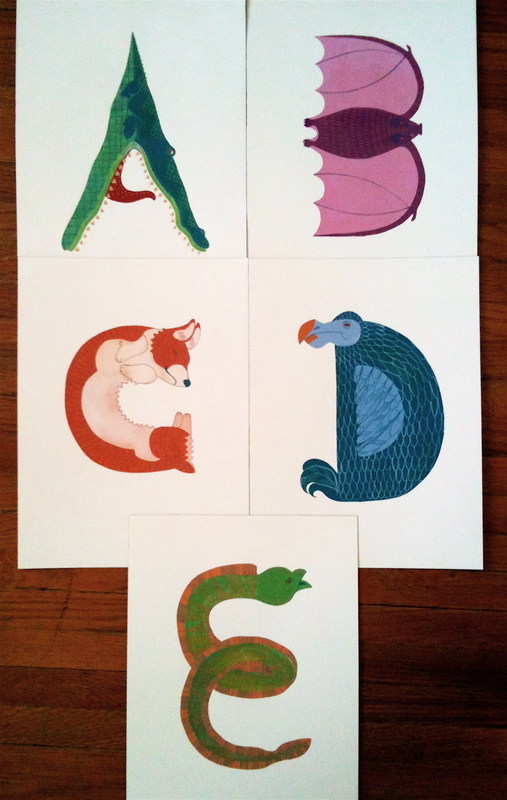 That said, in the past week I have completed the first five letters- Alligator, Bat, Corgi, Dodo, and Eel. This is just a preview; I look forward to soon owning a scanner and uploading these babies to Letter Playground.